An innovative new way of marking down the countries you have travelled to. 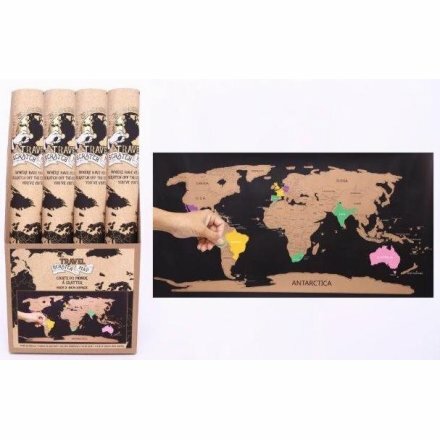 For any avid traveller, this scratch away map will be a perfect gift idea. Scratch away at the places you've been to unveil a colourful pattern beneath.